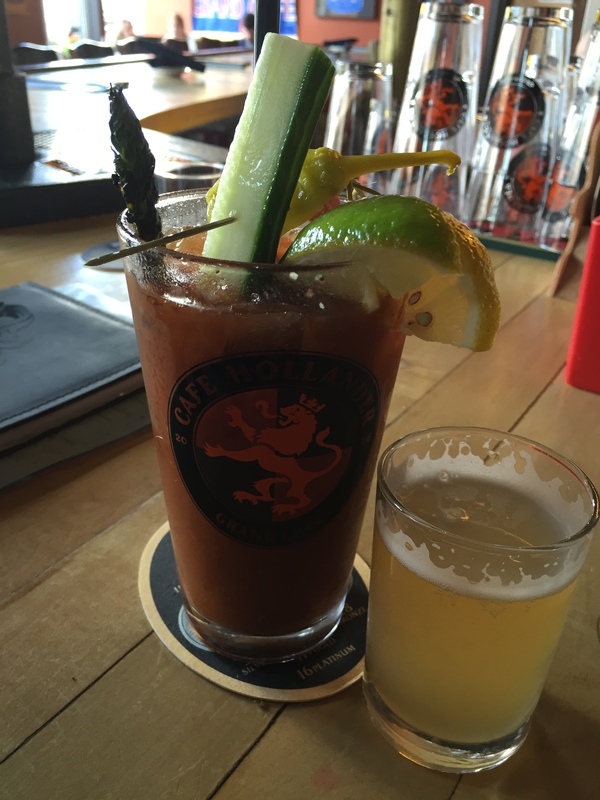 Recently, I visited Cafe Hollander in Wauwatosa again. Seems like they change out their bloodies here on a regular basis, as the Hasta Manana is no longer an option (replaced by the Buenos Dias, I’d imagine). 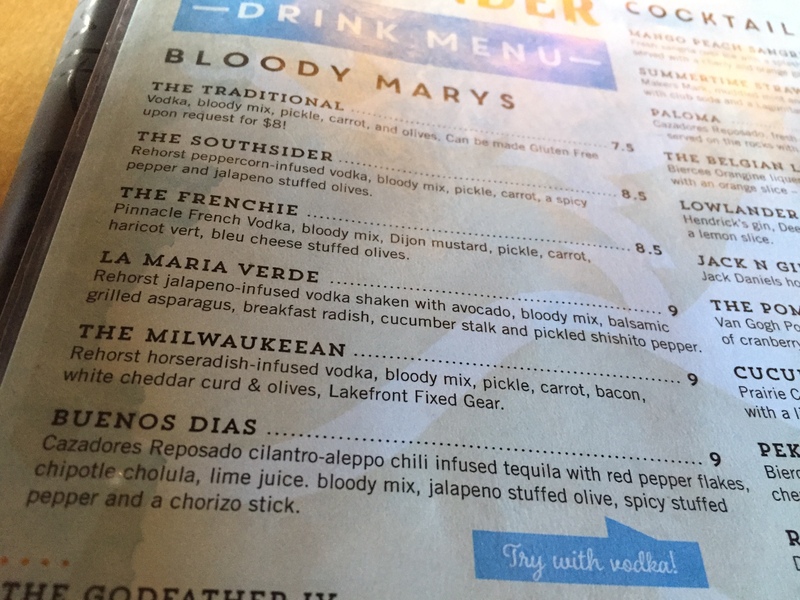 Of the above list, I’ve tried them all with the exception of the Buenos Dias and the Southsider. I’m a big fan of the Milwaukeean and the Frenchie as well. You can read my original Cafe Hollander post here.